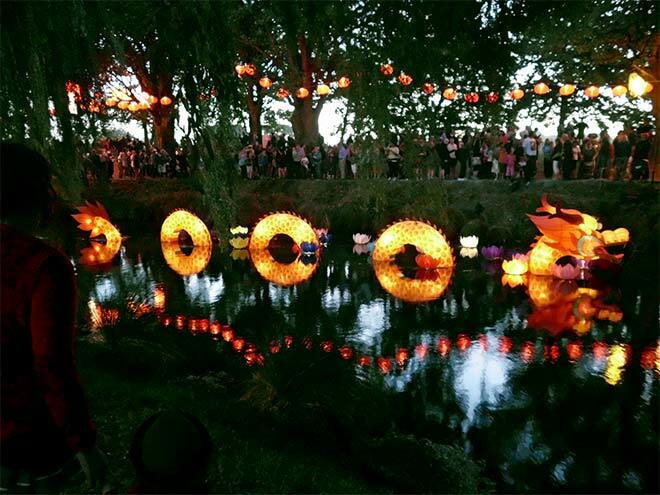 On 22 and 23 February 2014 Christchurch residents enjoyed a Chinese lantern festival in north Hagley Park to celebrate the new Year of the Horse. In addition to the lanterns, there were food stalls and entertainment, with the Tang Dynasty rock band from Beijing and the Jiangzhou drumming group from Shanghai. The event symbolised the growing visibility and numbers of settlers from China and other parts of Asia in Christchurch in the 2000s.